Great brick Cape Cod in German Village. One (1) off street parking place. 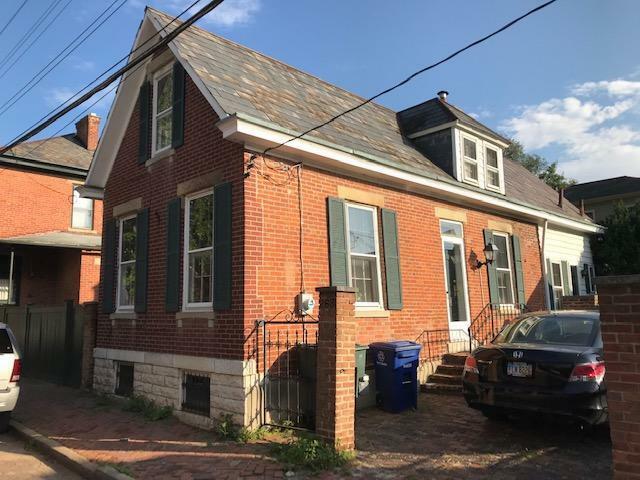 1st floor includes beautiful hardwood floors in living areas, decorative fireplace, exposed brick, large closet, and half bath. Kitchen with lots of cabinets. 2nd floor includes bedroom, large walk-in closet, landing area with additional closets and bath. Full basement with lower ceiling height. German Village is a great walking environment with an abundance of restaurants including Lindeys, Harvest Pizza, Sycamore, Club 185, Pistachio Verde and others. Walk-able to downtown. Has been a rental unit for the last 12 years.